Off the Beaten Path: Watch Them Strut Their Stuff! Watch Them Strut Their Stuff! 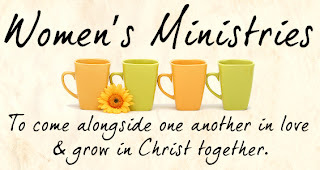 Because a lot of women involved in church women's ministry read my blog...I think...I hope, we're going to have a little women's ministry fashion show of sorts today. There will be no bathing suits, no haute couture, and not even the obligatory bridal gown finale. It's not that kind of fashion show. Instead, we will be watching some winning web sites strut down the runway. I'm constantly perusing churches' women's ministry web pages. It's a great way to find out what's going on with other churches, how they're doing things, what books they're studying, and what kind of events they're hosting for their women. the hottest books to include in our Summer Breakfast and Books book club. incentive to organize hikes and picnics for our women. Being outdoors is obviously really hip these days. ideas for women's fellowships, such as "Get Your Groove On," a fall Bible Study kick-off event set to a 70s theme. inspiration to begin ministries for military wives, widows, and mothers of preschoolers. You gals have some great stuff going on! But while I'm sure many churches have effective women's ministries, it takes a real knack to create a web site that adequately communicates all that's going on. So today we're going to see a few of the ones I think really shine. And it's not just large churches doing this web thing right either. The ones that capture my attention and wow me are sites that are high on impact, information, and inspiration. So, without further ado, let's begin the show, featuring some of the hottest, well planned, most inspiring, and most informational church women's ministry sites. And if your church's site made the list, congratulations! To view the fashion show of women's ministry web sites, just click on the links. The web sites should hopefully open in new windows. If, for some reason the sites open at the church's main page instead of the women's ministry page, just click through the menu until you arrive at the appropriate page. They're all fairly easy to navigate. Enjoy the show! First Baptist Church of Norfolk, Virginia, features a web site that immediately offers good contact information and a menu of interesting ministries. Their ministries menu bar tabs open in separate windows and I'm a big fan of that. I like that they have clear and interesting information about their ministries even during the off-season. Olathe Bible Church in Olathe, Kansas, has a very clear, easy-to-navigate site on their church's web site. They also have a link to their latest newsletter for women, The Grapevine. Lovely. Southwest Bible Church in Beverton, Oregon, has a nicely laid out and easy-to-navigate site. I especially like the fact that their photos appear to be actual pictures of their women and their events or ministries, rather than canned photos. Nice touch! At the site hosted by The Heights Baptist Church in Richardson, Texas, you'll not only find good contact information, a few upcoming events, and an interesting photo, but they also clearly state their ministry's purpose and goals. I love how even the background wallpaper changes to a vibrant red paisley when you click on the women's ministry web pages at the church web site for Mission Hills Church in Littleton, Colorado. They also feature great menu tabs and a lot of nice white space. The site looks fresh and lovely, interesting but not crowded. Christ Community Church in West Chester, Pennsylvania, has a site that is just chock full of helpful and up-to-date information. You could stay on this site for an hour seeing what they're up to. And I love the fact that next fall's Bible study offerings are already up and ready for women to browse through. Calvary Baptist Church in Oshawa, Ontario, Canada, greets the women at its women's ministry site with a fresh and lovely photo. Then you also get sneak peaks at upcoming events and Bible studies as well as their purpose statement. Clean and helpful. I love web sites where I get to see actual photos of the women who are in leadership. That lets me know who to look for at church when I visit and I even get the feeling that I already know them when I meet them. That's the case at the women's ministry web site at Northwest Bible Church in Hilliard, Ohio. And they're all so pretty to boot! Well, that's the conclusion of today's women's ministry fashion show. If you like this (and you tell me so in the comments) we'll do this again some time. Believe me, there are plenty more wonderful web sites from women's ministries out there. So don't get your feelings hurt if I didn't showcase yours today. I have hundreds in my bookmarks, truly! Which site was your favorite and why? What do you like to see in a good women's ministry web site?